Online team collaboration and project tracking. Plan out the work, cost, assignments and schedule. 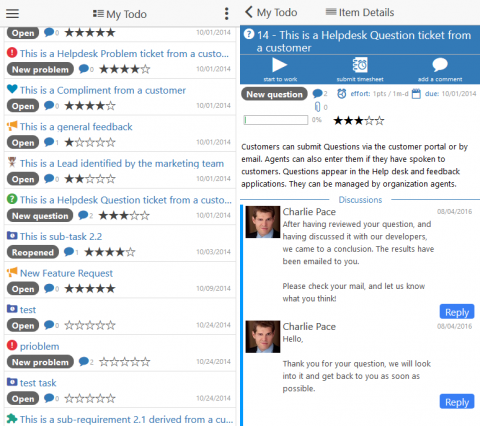 Discuss tasks & issues with your team and customers. 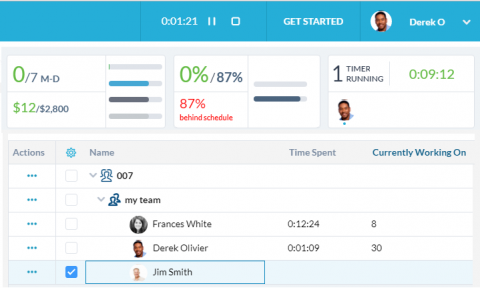 Capture hours worked using timesheets or work timers. Plan and track all work together in a consolidated view. Schedule your tasks and projects on a timeline. Generate and export the reports you need. OneDesk covers the full project lifecycle. 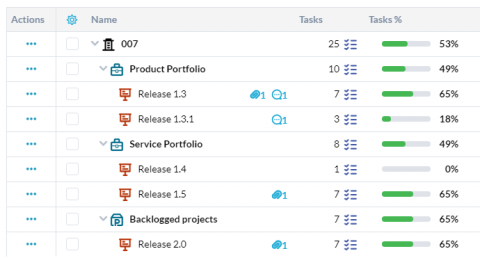 You can create all the projects you need and easily input your tasks. Then plan the work, assignments, cost and schedule. When work gets started OneDesk provides the tools to track the work and progress as it happens. 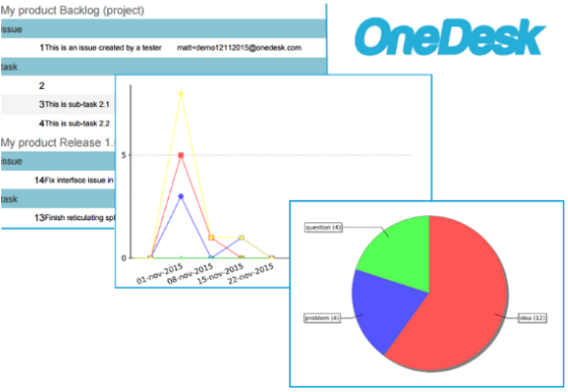 In OneDesk you can share projects with the whole team, with specific team-members or keep them private. 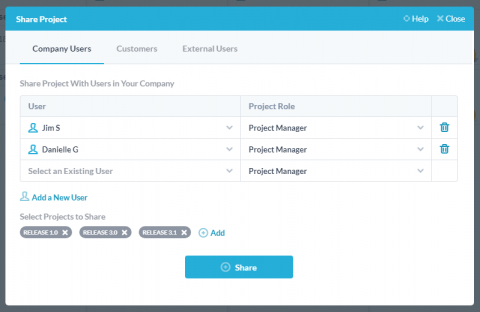 You can even share projects with your customers. Everyone sees only what interests them and can work together to get work done. 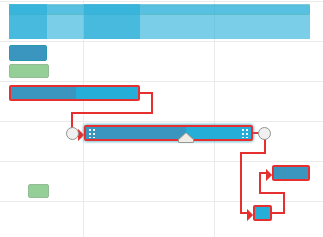 Create links between tasks and visually compare project plans to work in progress. Create dependencies, constrain dates, and generate schedules with automatic CPM calculations. View your resources’ workload and easily reassign tasks for optimal time management and work distribution between teams and members. 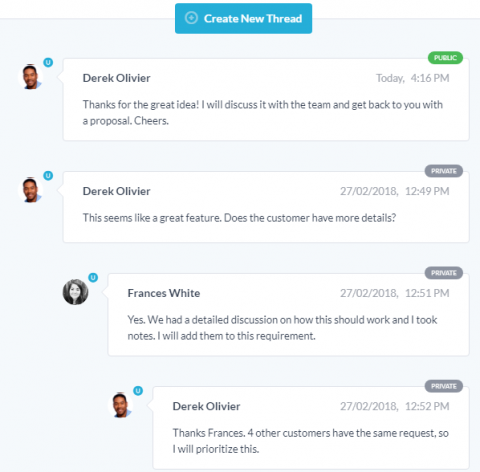 Keep the whole team in the loop (including customers), with built-in discussions and email notifications on tasks and projects. Make logging work easy with simple timesheets and task timers. You can even do it from your phone with our mobile app. Entered time is automatically rolled up so you can easily compare actual work to the project plan. View your tasks in a hierarchy, or as a status board. Get the big picture of projects, stories and iterations and plan them out visually. Change the lifecycle status of any item or project by drag and drop. Move user stories from your backlog or between projects. 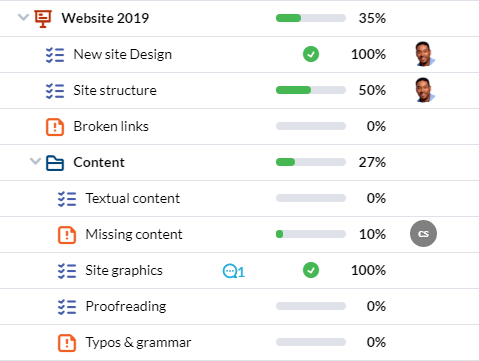 KPIs, roadmaps, and charts update dynamically and let you know how your projects are progressing. Make sure your plans account for everything by oganizing new tasks alongside issues and defect fixes. 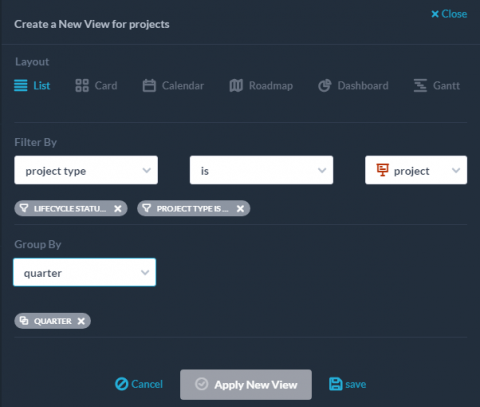 Create and save custom views of your tasks to show exactly what you need. Create lists, calendars, roadmaps, gantts, and card-views. Add columns, filters, grouping, sorting. Export your data, use our pre-created report templates, or customize your own. Automatically schedule and email Excel or PDF documents. 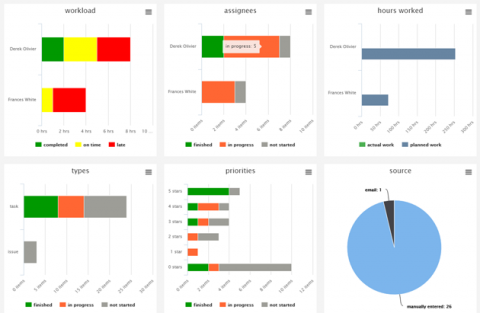 Dashboards and charts give an overview of your projects at any level: individual project, portfolio of projects, or everything. You can even create and save your own dashboard views.